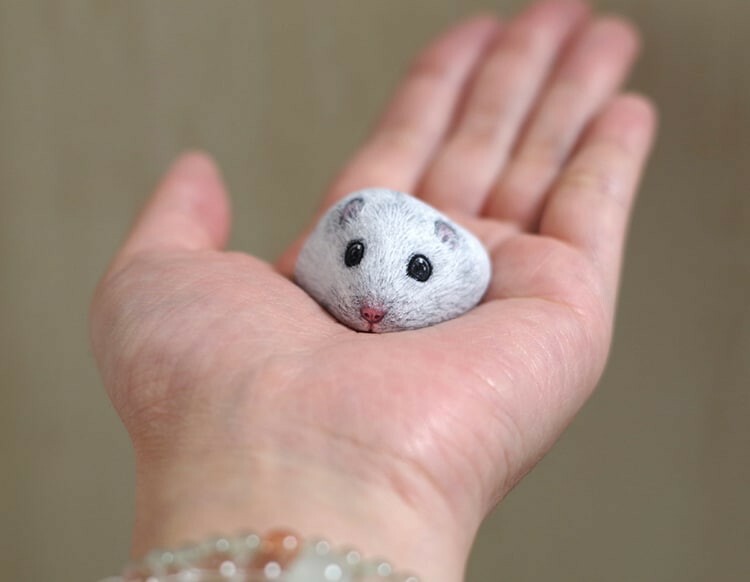 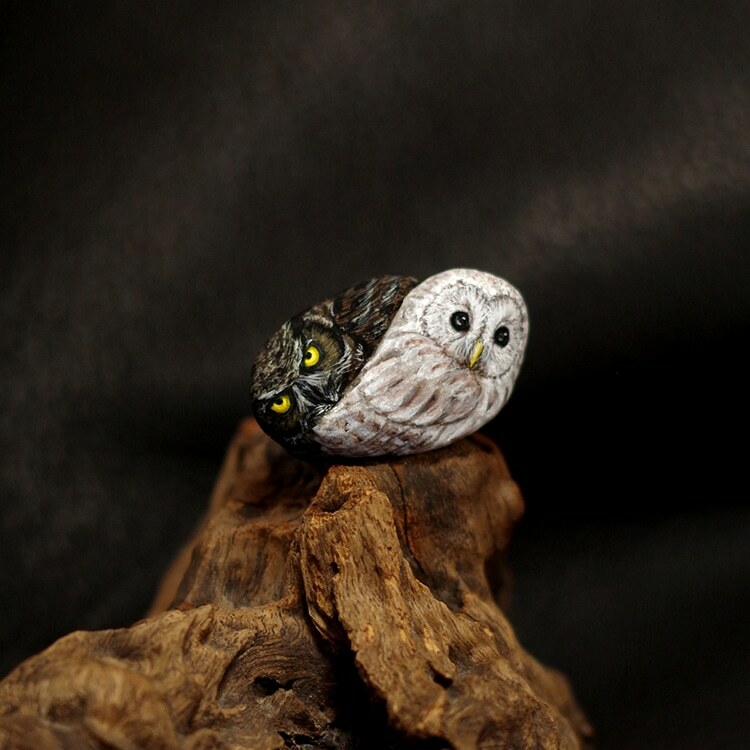 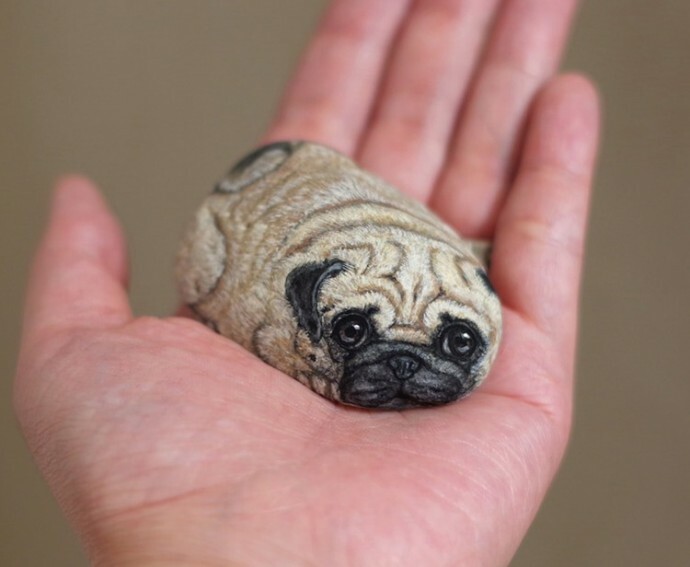 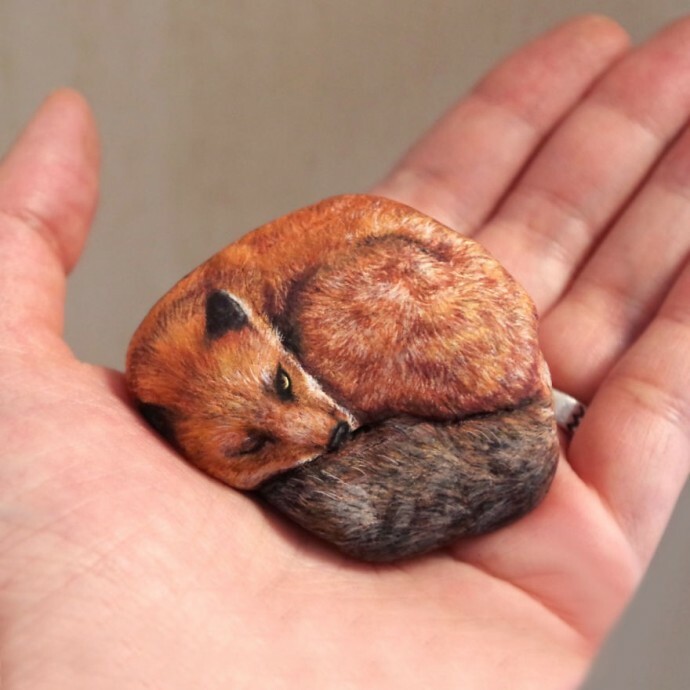 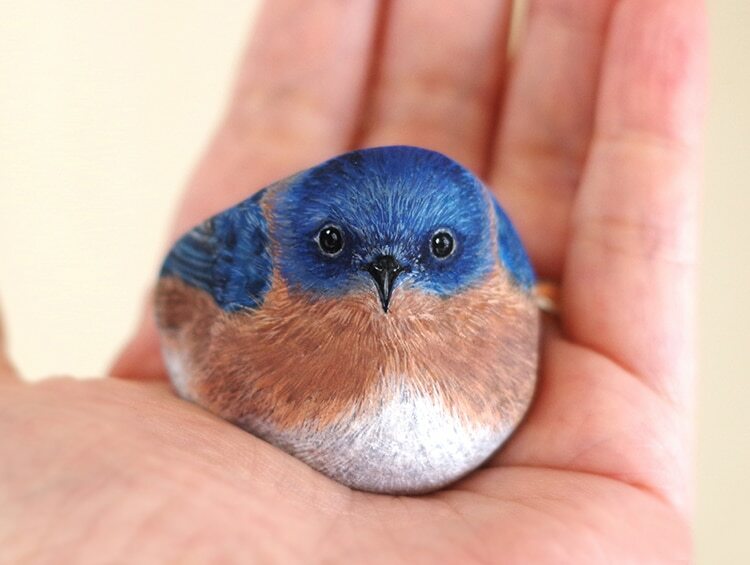 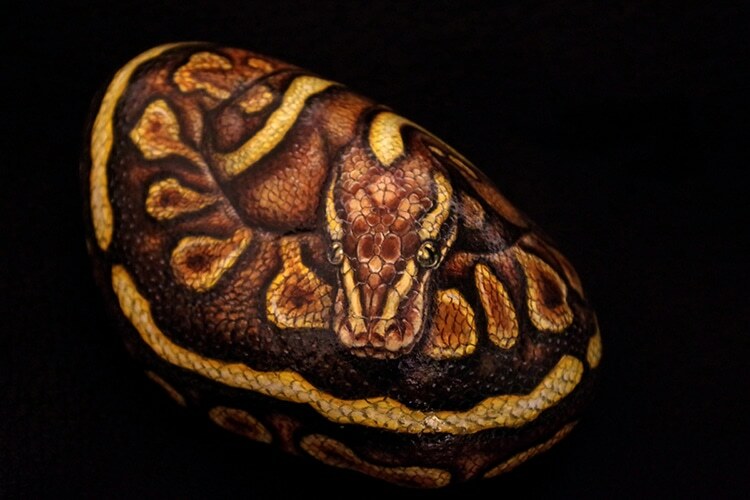 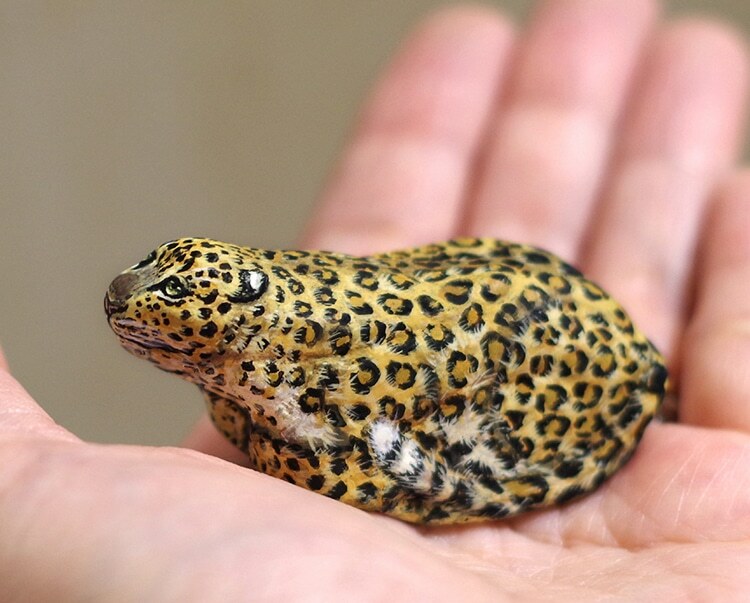 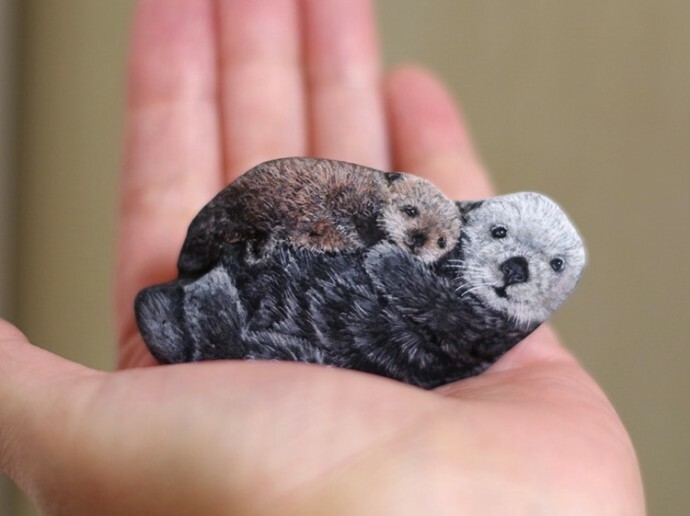 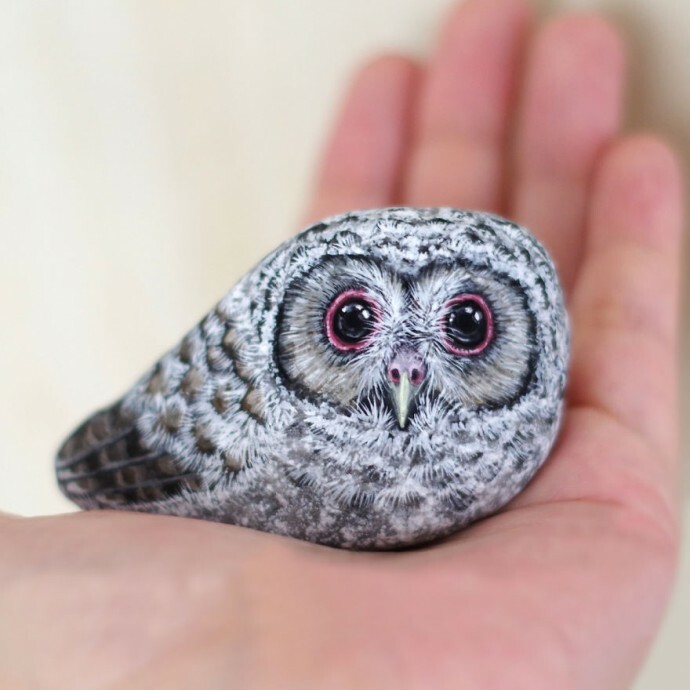 Japanese artist Akie Nakata (known simply as Akie) turns found stones and rocks into adorable animal paintings you can hold in the palm of your hand. 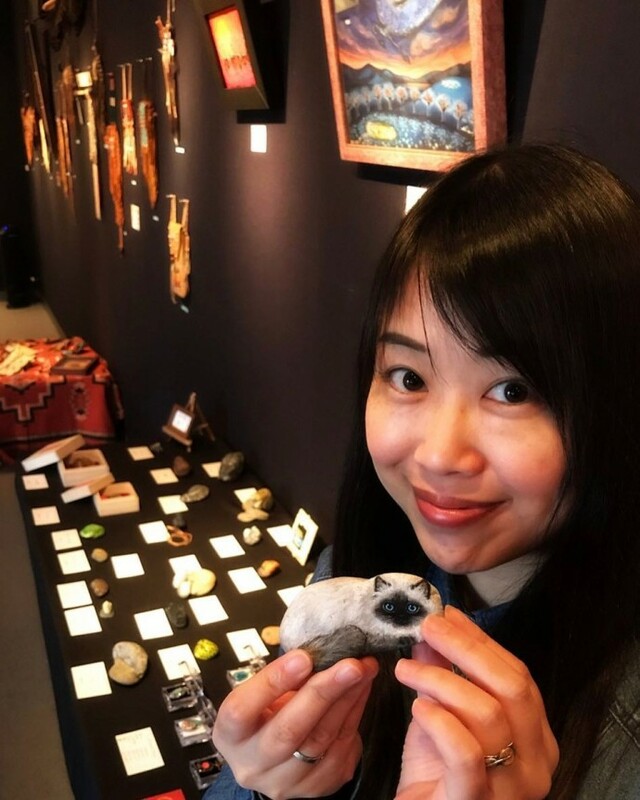 Inspired by the natural shapes of each stone she comes across, Akie chooses the ones she believes already have their own destined characters. 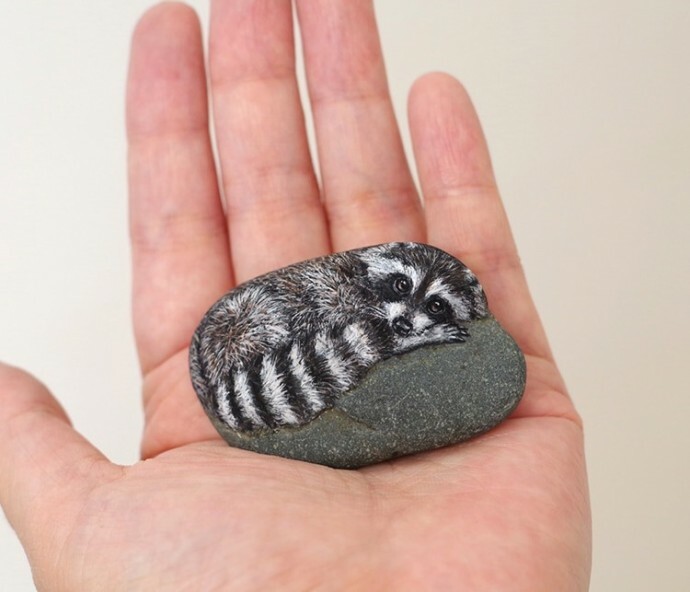 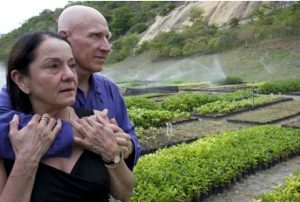 According to Akie, each stone has a story. 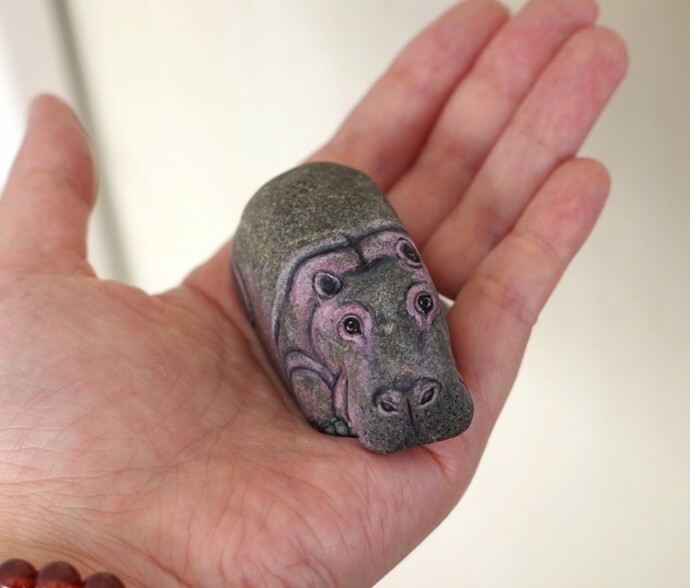 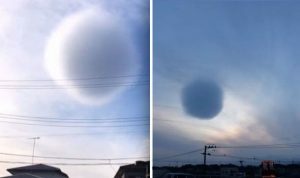 Akie is a self-taught artist who has been collecting stones since she was a child, and started to create stone paintings in 2011. 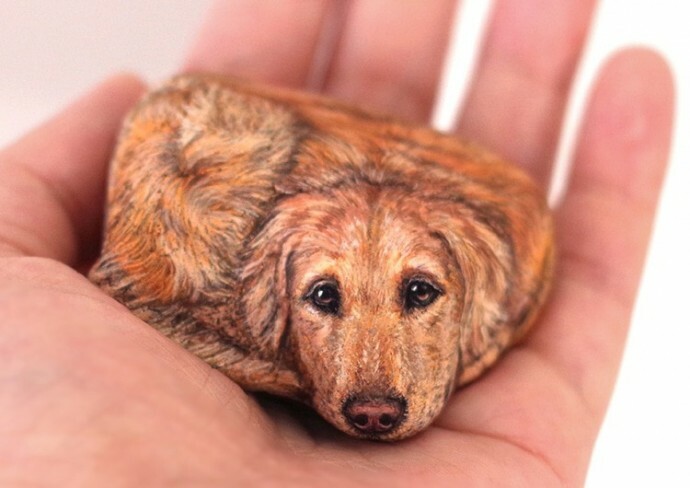 Akie’s works are extremely lifelike. 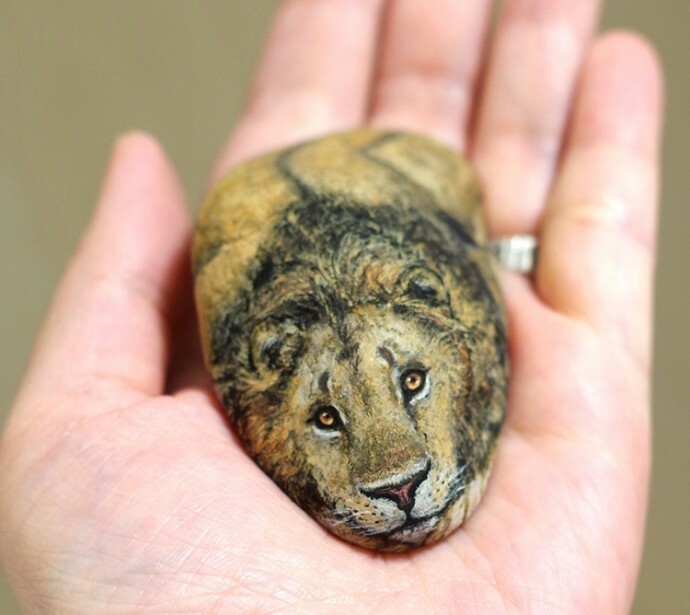 The details painted to each stone are incredibly intricate. 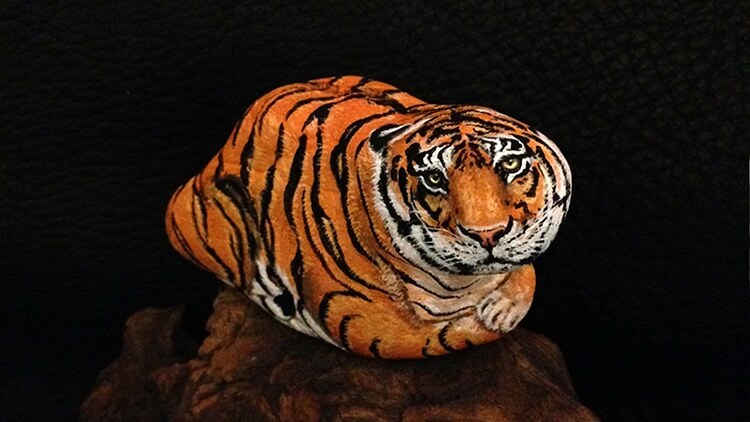 One look and you know how much effort was exerted for each masterpiece. 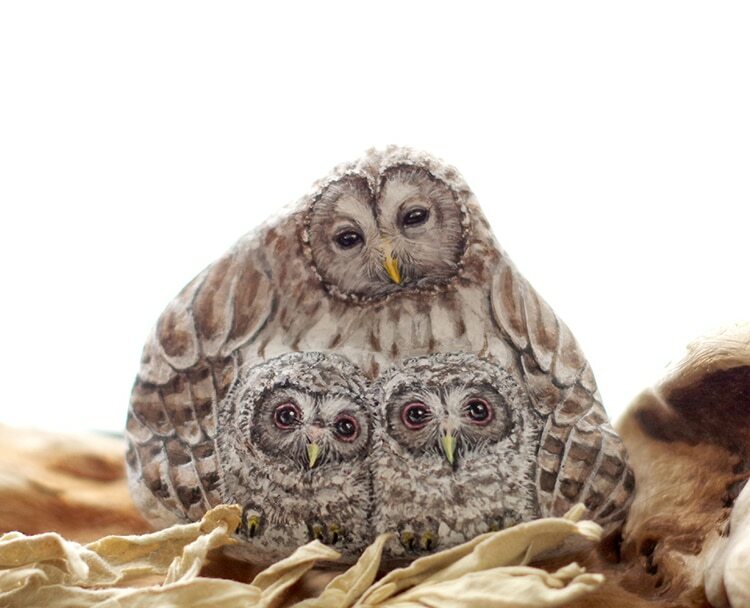 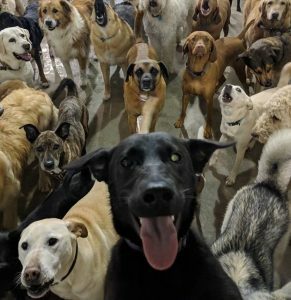 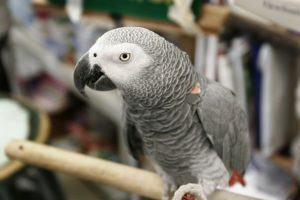 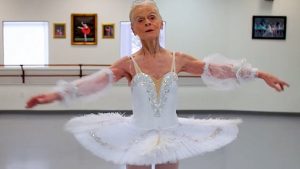 Among her works are paintings of dogs, crocodiles, cats , lions, bears, raccoons, mom and baby elephants, polar bears, a family of possums and owls, only to name a few. 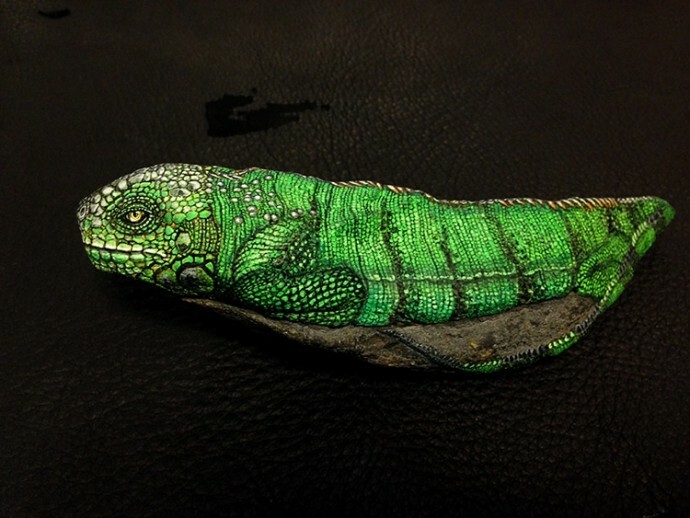 You can find more of Akie’s incredible artwork on Instagram on Facebook.